Northern Ireland’s road safety champions have been officially recognised for their contribution to improving safety in their communities. 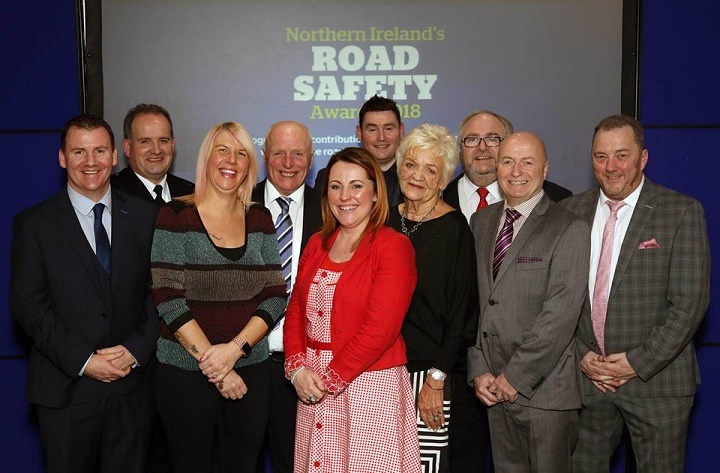 Now in their fourth year, Northern Ireland’s Road Safety Awards are organised by Road Safe NI and accident management specialists, CRASH Services. The 2018 awards ceremony took place on 23 November, with individuals, organisations and special projects from across the voluntary, education, emergency service and business sectors all recognised. Pat Martin MBE, chairperson of Road Safe NI said “There is such a vibrant and committed road safety community working all over Northern Ireland. “We are delighted to play our part in recognising those who go the extra mile. The winning entries really stood out for their efforts over a long period of time and for delivering innovative projects.